20/5 Ton Double Girder EOT Crane at United Insulation Industries, Halol, Vadodara. Capacity - 20/5 Ton Span - 21.4 Mtr Height - 10 Mtr We are the leading manufacturer of EOT Crane and Pre Engineered Building in Vadodara, Gujarat. 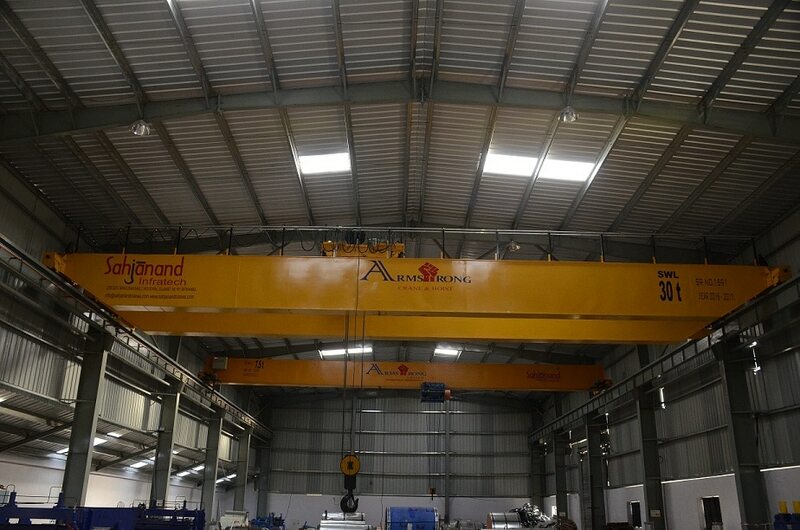 We sahjanand infratech are the leading manufacturer of EOT Crane ans Pre Engineered building in Vadodara. Here in image we show the erection of PEB Structure at Halol, Vadodara. Flexible Type Wire Rope Hoist. Capacity - 2 Ton. Ceat Tyre Halol. We are the leading manufacturer of EOT crane and Pre Engineered Building in Vadodara, Gujarat.